In a recent Poynter.org story, we argue for greater scrutiny of the figures that nonprofits, NGOs and the U.N. produce. 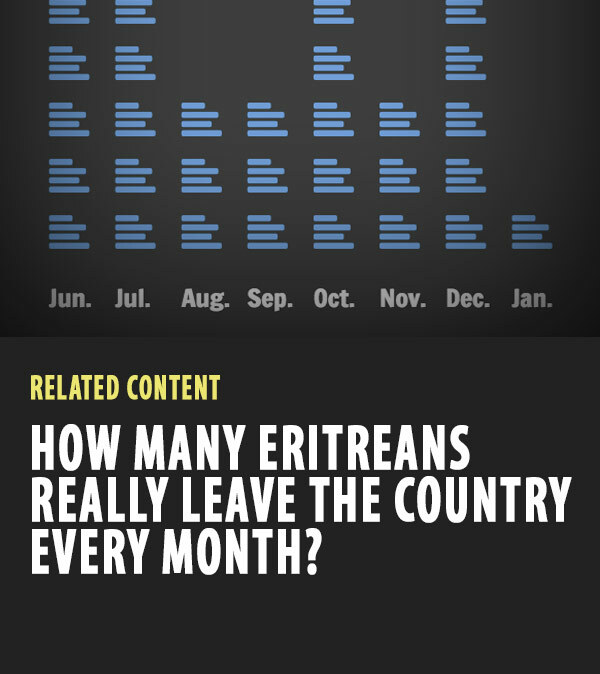 We use a specific statistic from the UNHCR — the claim that 5,000 Eritreans leave the country each month — to illustrate our point. Over the past seven months, we compiled articles that highlighted the 5,000 statistic and examined how news outlets reported it. It’s appeared in over 40 stories, and it’s often presented as the most striking evidence that unbearable conditions force people to flee Eritrea and risk their lives on a dangerous journey to Europe. The number is from a June 2015 report into the human rights conditions in Eritrea. Interestingly, the statistic only appears twice in the nearly 500-page document. How it was derived is never explained. Since we don’t know how the U.N. arrived at the 5,000 figure, we can’t assess its merit. Eye-catching statistics demand attention. They can get readers invested in big problems in far away places, and that’s good for both news organizations and advocacy groups. But interest driven by inaccurate numbers comes at a cost. In the case of the 5,000 statistic, what’s the implication if it grossly underestimates or overestimates the number of Eritreans leaving? Would our understanding of what’s happening change? More accurate numbers can both change and deepen our understanding. That’s why journalists must push for accountability from the organizations producing the data they rely on. Whether the numbers are for better or worse, there’s only one way to get to deeper knowledge: removing doubt with accuracy and specificity. Collecting data on complex problems such as migration is very difficult. These issues concern multiple countries, and the dynamics constantly change. Restrictions from governments and limitations of regional partners add to the challenge. But it’s not enough to conclude that organizations such as the U.N., while imperfect, are the best available sources. If journalists demand clarity and specificity, they create an opportunity to relay qualifiers to readers. In some cases, they may decide that a figure is so questionable that it’s best not to amplify it. Going a step further, journalists are in a position to hold organizations like the U.N. to a higher standard. By questioning their data collection methods and refusing to publish figures that can’t be substantiated, journalists can encourage more clarity and transparency. They can highlight how gaps in information prevent us from finding solutions to some of the most pressing problems. Misinformation, meanwhile, will only take us further from answers.